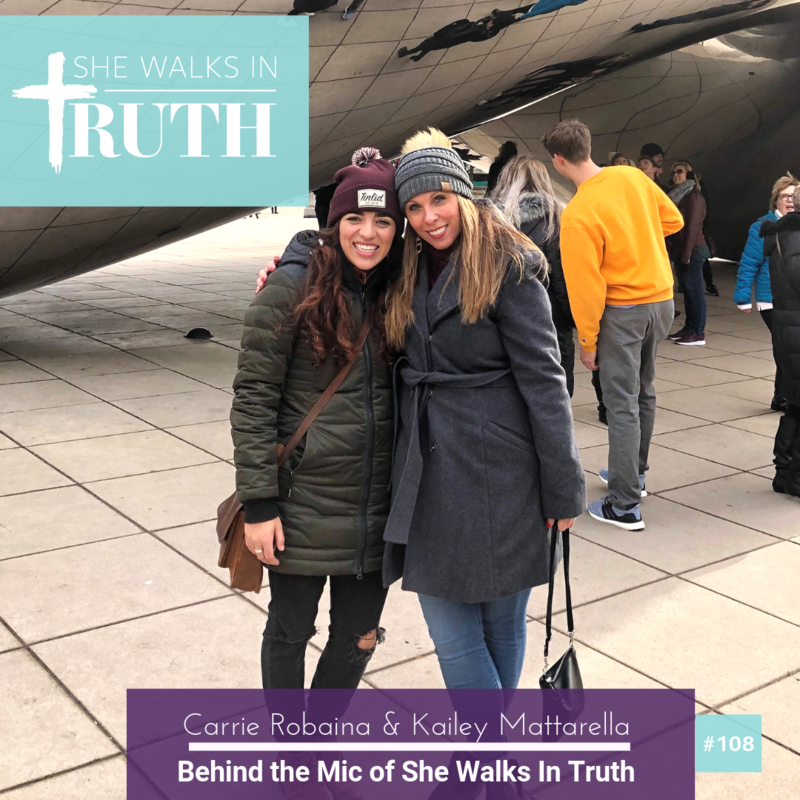 Carrie Robaina and Kailey Mattarella are not only good friends, but also co workers for the She Walks In Truth podcast. Today they chat on navigating work and friendship dynamics, the back story on how they first met doing ministry across the states, and how starting work together with the podcast all took place. The insight, joy, and goodness of God they share on the podcast today, will inspire you to open your eyes to what God has laid right before you, no doubt! 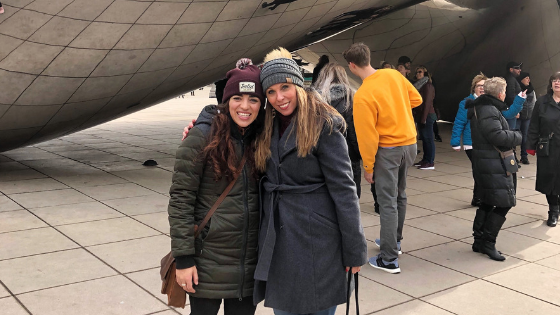 Carrie and Kailey first met at a Love Twin Cities missions trip about five years ago and continued networking with each other as they were involved with the same ministry based out of Minneapolis. The mission trips Carrie and Kailey were involved in when they connected with each other were one of a kind. These mission trips consisted of an entire week of 24/7 outreach, prayer, and worship. They have both traveled to Minneapolis, New York, and San Francisco, serving alongside one another and having a blast while doing it. Carrie takes a moment to honor Kailey for who she is and all that God has called her to be. Kailey shares how her time with the World Race was a foundational year, one of the best and most uncomfortable times of her life. Close to two years ago, Kailey was interviewed on the She Walks In Truth Podcast talking about her faith journey as she prepared to do the World Race missions trip. Check episode #36 out if you’d like to learn more about her faith journey! We can trust God in His goodness and that He will reveal all we need to know in perfect timing. Kailey shares how God really encouraged her through Carrie’s words and mentorship. This past year Kailey decided to pursue entrepreneurship instead of going back into the social work field, and Carrie was the perfect person to mentor he in that transition through starting work with She Walks In Truth. No matter what kind of friendship or working relationship one finds themselves in, it is important to maintain honor, integrity, and respect towards one another. Often times the people that may be good to partner together with are right in front of us. Kailey and Carrie both agree God showed up in their lives, bringing each other together for a reason and they encourage you to ask God to open your eyes to this reality as well! God desires to use the skills you have to help coach and disciple others along. Carrie and Kailey chat on how they started off with firm boundaries in regards to communication styles for their work relationship as they navigated a new role, coming in as good friends already. Stewarding friendship as Kailey and Carrie dance between work and personal life boundaries has been an exciting journey. Kailey expresses how cherished and taken care of she has felt by Carrie. Sometimes when we start off with a new job, especially working for someone we look up to, there can be an unhealthy strive for perfection. Kailey shares that “while striving for success is good, we need to give ourselves grace and be okay to make mistakes, knowing we are doing our best with what we know how at that time”. Carrie and Kailey both love each other so much, have learned from one another, and are equally excited for what God is doing in their individual lives. Carrie shares that in this time of hiring Kailey on, she has grown in learning to let go, entrusting Kailey with responsibilities she no longer has to think about. In return this has been a season of new freedom and space to expand the influence of the She Walks In Truth podcast! When in a working relationship with someone that is a close friend, Carrie and Kailey both suggest having a conversation on ways you can protect a friendship for the long run, before you start official work with eachother. Joy Makers Project is an organization that was downloaded on Kailey’s heart during an 11 month missions trip around the world in 2018. This is a platform organization that empowers people to go and spread authentic joy around the world by spreading random acts of kindness, generous gift giving, and notes of encouragement. Part of this project’s mission is to create awareness that we should never underestimate what God can do through the little things to impact someone’s life or change the trajectory of someone’s life for the better! You can check out Joy Makers Project by clicking here. We don’t have time to value any thoughts within our own mind outside of what God thinks of us. God is speaking constant affirmations over us and it is in our best interest to tune into what those affirmations are. See Psalm 139. Sometimes we make up things in our own head that simply aren’t true. If you are in a sticky situation and not sure what someone may think of you, Kailey’s best advice was to “think of the best case scenario unless that particular person was to tell you otherwise. CONNECT with Kailey Mattarella by clicking here.